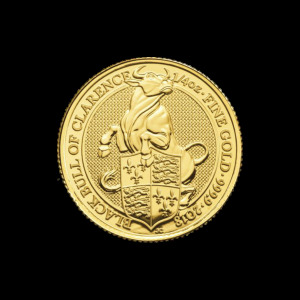 Obverse Jody Clark' Effigy of Queen Elizabeth II and the words "Elizabeth II DG Reg Fid Def 100 Pounds"
Jody Clark' Effigy of Queen Elizabeth II and the words "Elizabeth II DG Reg Fid Def 100 Pounds"
1 oz 2019 The Royal Arms Gold Coin Order your 1 oz 2019 The Royal Arms gold coin from our store online to be treated to the very best price on the web. 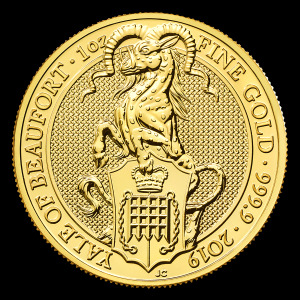 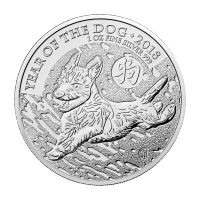 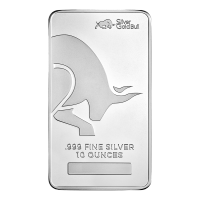 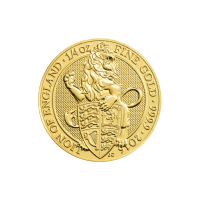 This iconic new masterpiece from the Royal Mint features Timothy Noad’s reinterpretation of that symbol of British pride, the Royal Arms, which was originally designed by Eric Sewell. 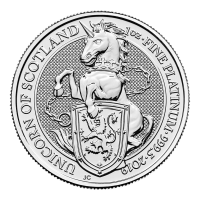 The reverse of this dazzler shows the Royal Arms, with its quartered shield, representing the nations under the United Kingdom…the shield is flanked by the heraldic English lion and the Scottish unicorn, and has the royal crown on top; all set on a light refracting, micro-engraved, starburst field. Also on the reverse, a garter circlet on the arms, reading, “honi soit qui mal y pense,” which translates as, “shame on he who thinks evil on it,” along with the year of issue and details of weight, metal content and purity. 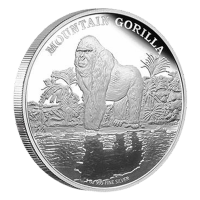 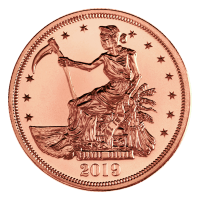 The obverse feature is a realistic effigy of Elizabeth II, donning teardrop earrings and her regal State Diadem. 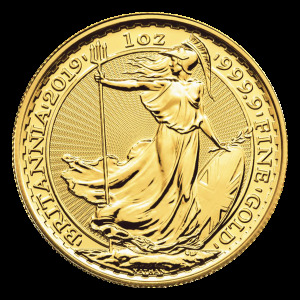 This effigy is set on a micro engraved, textured field and joins the Elizabeth II’s formal title and details of the coin’s denominational value on the obverse. 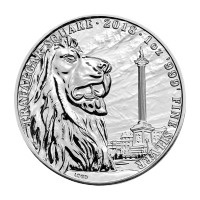 The Royal Arms have long been the UK’s foremost symbol of authority, made use of by the ruling monarch and, as well as being an identification ‘stamp’ for the Head of State, they signify the pride, sovereignty and strength of the United Kingdom. 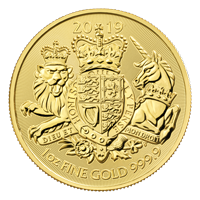 Celebrate the glorious United Kingdom and fortify your holdings with a 1 oz 2019 The Royal Arms gold coin today!